Sunday, July 1, 2012 was a VERY special and unique Canada Day for us. 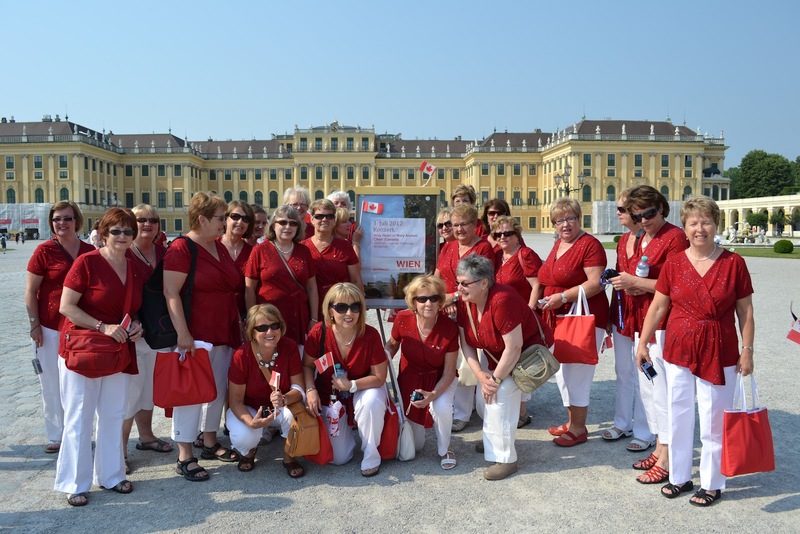 After yet ANOTHER wonderful breakfast we boarded our coaches to drive to Schonbrunn Palace. This palace is the summer residence of the Austrian Imperial family, the Haftburg's. Maria Theresa (Empress of Austria) mothered 16 children with the most noted one being Marie Antoinette. 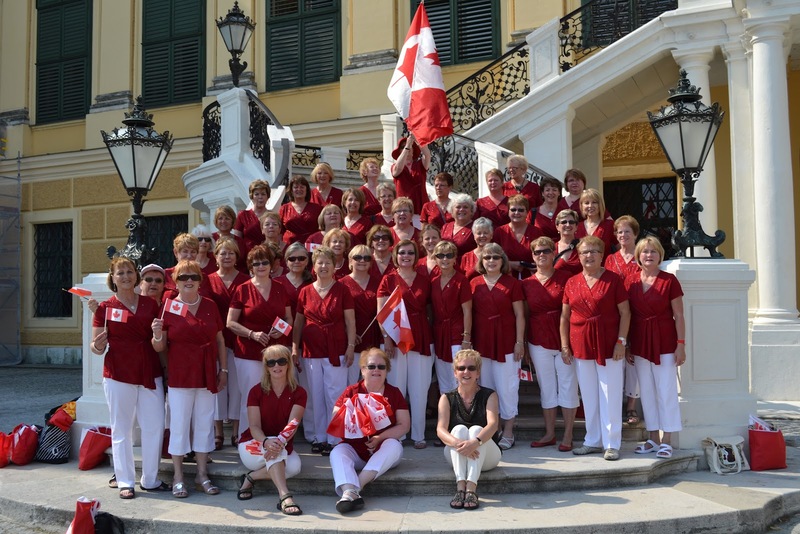 This grand palace was the back drop for our Canada Day performance where tourists from many countries enjoyed our singing. Choir members handed out Canadian Flag pins and flags to various people who were in the courtyard. One male tourist asked a choir member if all women in Canada are this beautiful? We'll let you answer that question! After our performance we had a guided tour of the palace..... outstanding. A vision of grandeur and opulence! We were then treated to lunch with desserts to die for. Back to the hotel for free time to pack and prepare for the long journey back home. We said our final good-byes to Austria and this tour. And now a final good-bye from your bloggers. 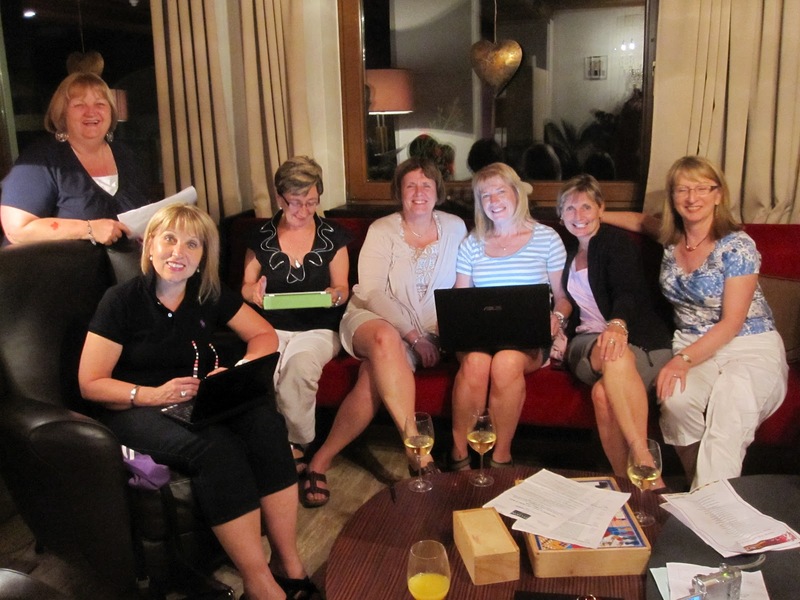 We hope you enjoyed this blog as much as we have enjoyed sharing our experiences with you. Once again ladies, I am so impressed with the pics and updates of your fab-u-lous tour. I can only imagine the mixed feeling about leaving. With all of the countries you have visited you will be like the Von Trapp children singing So Long, fairwell,Auf Wiedersehen,Arrivederci and finally Cherrio when leaving london.I feel sad myself that this has come to an end.Happy however to have followed along. My complimants and thanks you all of you bloggers. Excellent job . Good to see who you are.